Contrary to myth, entrepreneurs are able to do BIGG things without losing their shirt. Whether you’re a business owner or not, you can profit from the 3 S’s of entrepreneurial risk management. Most people think entrepreneurs are risk lovers. Entrepreneurs are NOT risk lovers. They are, however, great risk managers. 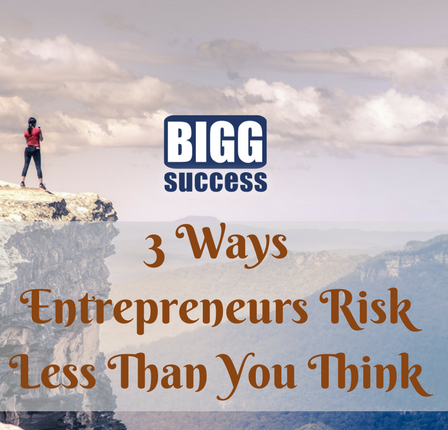 Today, we want to talk about three ways entrepreneurs manage risk. 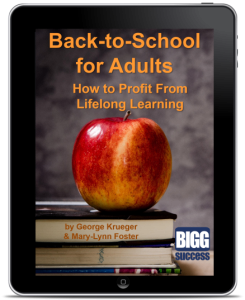 Click the player to hear The Professor & Mary-Lynn’s podcast version of this post. We’ll move beyond the 3 R’s of entrepreneurship we discussed last time, to the 3 S’s of entrepreneurial risk management. The first “S” is shift. Entrepreneurs often shift risks to another party. You do this, too. For example, you buy insurance for risks you can’t afford to take. If you wreck your car, you’re covered. If lightning strikes your house, you don’t have to worry about where you’ll find the money for repairs. It’s on the insurance company’s shoulders. When you get a fixed rate loan, you shift interest rate risk to your lender. If rates go up, you don’t care. You’ll still make the same payment at the same rate. 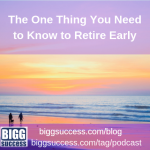 You store money in a bank so you don’t risk losing it, having it get stolen, or getting burned up in a fire. Even if one of these events happens to them, you still expect to get your money back. For example, they may take on a partner who provides money and/or strengths which shore up the entrepreneur’s weaknesses. However, a couple living under one roof should be able to live for less than two individuals living apart. If that’s not the case, it’s because of choices. If you make wise choices, you should be able to save more with a spouse than without one. In addition, if both of you work – you share the risk that one of you may get laid off. If you lose a job as an individual, you lose 100% of your income. If the same thing happens to you or your better half, it will only affect a portion of your earnings stream. They may observe things other people miss. They may have experience with similar situations. They may hold an insider’s perspective. For example, an average person may look at an old house and see nothing but headaches. They buy the brand new house. An entrepreneur sees the opportunity in the old house. He or she may think the new, more expensive house is riskier than the fixer-upper they can get for a song. Think like an entrepreneur. Before proceeding, eliminate the risk. If you can’t do that, make it affordable so you can try something with no fear of loss.